Debian 9.0.1 KDE Live DVD (64-Bit) | Linux DVD Shop - UK Linux Shop supplying Linux on CD, DVD and USB with Free UK Delivery, 24Hr Dispatch. Debian Linux 9.0.1 LIVE on DVD featuring the KDE desktop environment, a great way to try Linux without the need to install - simply runs from DVD and memory packed with loads of Linux applications. Hailed by many as the best Linux distribution ever. The Debian Project is an association of individuals with a common cause to create a free operating system. 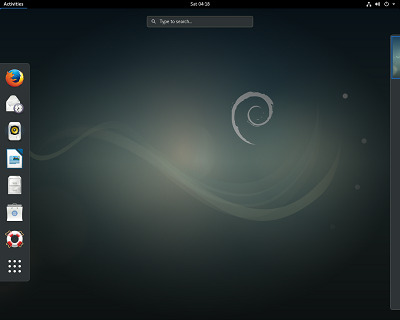 This operating system is called Debian GNU/Linux, or simply Debian for short. Debian systems currently use the Linux kernel and most of the basic OS tools come from the GNU project. Linux is a completely free piece of software started by Linus Torvalds and supported by thousands of programmers worldwide. Debian comes with thousands of packages (precompiled software that is bundled up in a nice format for easy installation on your machine) - all of it free. It's a bit like a tower. At the base is the kernel. On top of that are all the basic tools. Next is all the software that you run on the computer. At the top of the tower is Debian -- carefully organizing and fitting everything so it all works together.